Two introverted, socially awkward Japanese university students like each other, but cannot even exchange one single word at school. Help! Bring a photogenic girl resembling a K-pop star to the rescue by sending her to Japan and teaching them the ways of courtship, Korean style! The premise sounds like a hokey, adolescent international incident rife with stereotypes, but what powers “Jinx!! !” through its 122 minutes is the charm of its lead, Hyomin (a real-life K-pop star and member of the girl group T-ARA). Hyomin plays the character of Jiho, who makes a sudden decision to study in Japan to recover from the sudden death of her boyfriend in Korea. Why Japan? How does Jiho learn to speak Japanese? What is she studying? None of these questions seems to matter when she comes across Kaede (Kurumi Shimizu), who sits by herself in the cafeteria at lunchtime each day. When Jiho realizes that Kaede acts nervous around a couple of male classmates, she accurately assumes that her new reluctant friend must be interested in one of them. So begins a determined Jiho’s quest to play the ringmaster in a play-hard-to-get series of antics called milbang. Jiho’s insistence on playing matchmaker, her over-the-top perkiness in forcing Kaede to be friends with her, and her eventual involvement in pushing the equally hesitant Yusuke (Kento Yamazaki) to pursue Kaede become clearer as the relationship with her late boyfriend is gradually revealed. What will make “Jinx!! !” appealing to the teen and 20-something set is the Japanese indie film meets K-drama story line, through which Hyomin pretty much plays up two moods: wide-eyed happy and tearful sad. As a result, melodrama is bound to play a major role, with a dreamlike classical piano piece (Franz Liszt’s “Liebestraum No. 3”) serving as the theme for nostalgic flashbacks and scenes from romantic Hollywood movies. These all manage to comprise the backbone and the heart of “Jinx!! !” in a series of genuinely comedic, tear-inducing and heartwarming events that help Jiho herself to heal. “Jinx!! 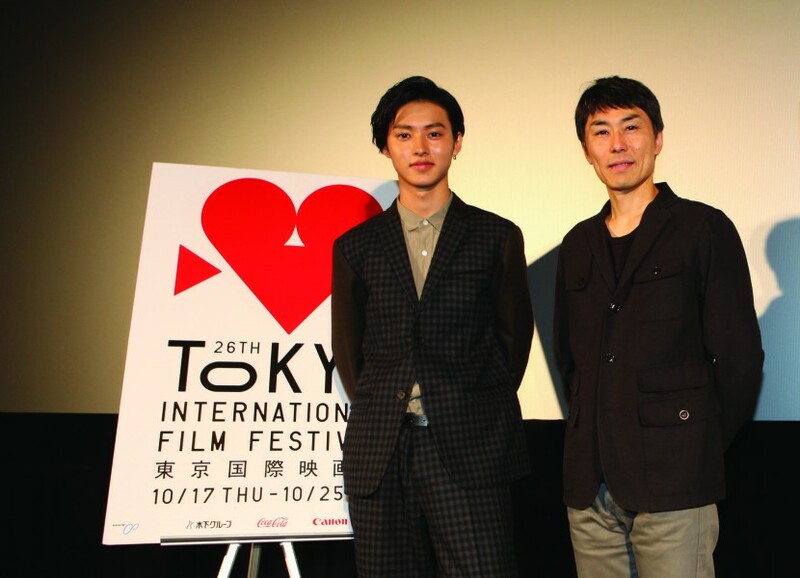 !” made its world premiere at the 2013 Tokyo International Film Festival and will be released theatrically on Nov. 16.